“Rescue” – I’ve been thinking a lot about this word lately. It conjures up idealized, romantic, happily-ever-after mental images. But then there is the nitty-gritty, in-your-face reality of the rescue process itself. Last week our family drove an hour-and-a-half to a greyhound kennel to pick up a rescue dog to foster for a few weeks before his placement in a permanent home. Felix was born to race; but, for whatever reason, he never made it to the track and retired at the ripe old age of 15-months-old. The first moments of meeting him were warm and sweet. Even our resident greyhound, Cody, along for the ride, seemed to like him. We admired his black face, slinky fawn-colored body with mischievous white socks, and white-tipped tail. We loaded him uneventfully into the back of our vehicle. The rest of us, another dog and six people, folded like pieces of a Rubik’s cube into our places. Sure enough, fleas swarmed the poor creature. As soon as we arrived home we soaped him up with medicated shampoo provided by Colorado Greyhound Adoption. The next day we applied K9Advantix, and watched in horror a mass exodus of the little fiends. Unfortunately, the determined little buggers jumped on Cody sometime before their extermination, so he too needed a bath and medication. For days after, we as humans felt the creepy-crawlies of real or imagined little critters. The word “rescue” got a little sullied in that swarm of black bugs, and it got even messier when Felix started “marking” inside our house, climbing on the dinner table, and howling through the night. An endearing overbite sprayed food all over when he ate. Each day is a little better. He learned within a few days to “mark” only outside, squirts of water in the face convinced him to stay a respectful distance from the dinner table, and the howling and messy eating – well, we’re still working on that. As I’ve thought of this process of rescuing Felix, I’ve realized it is a microcosm, a parable, for the theme of redemption. I am convinced it is encoded into the core of the universe. you will wake up bleary-eyed and maybe even bruised. During this coming week, Felix will be placed in his permanent home. I will cry when he leaves. I’ve become rather attached to this sweet, curious creature. But I also anticipate the joy I will feel when his family meets him for the first time and starts falling in love. It will be worth it. Because I’ve discovered in far more profound situations involving people that if you choose to participate in redemption, you will also stumble into those sunset moments that will be irrationally beautiful because of the price of admission. Your blood, sweat, and tears will secure more joy than your heart can hold. I guess I shouldn’t have been surprised a few days ago. One of my sons, Jacob, came home with his girlfriend Kassidy. I started to greet them and then lost my train of thought as I noticed a brown wiggly body in Kassidy’s arms. “Who is this?” I asked in surprise. Soon five little puppies yelped and snuggled into our home, joining Felix and Cody. I shook my head in pretend consternation at the spectacle of 7 dogs tromping through our living room, but I’m sure Jacob could see the glint of pride in my eyes. Go rescue something. It will be worth it. Ours is a ‘rescue’ as well, a wonderful American Foxhound that has been a beautiful complement to our family. Congratulations on your wonderful American Foxhound! Dogs just have a way of opening human hearts in unique way. I’m so thankful God created them the way He did! I love your blog and have been a subscriber for a few months. Your animal related posts are always so moving. I lost my beloved Miriam (a mixed breed/hound) last year after a 2 year battle with cancer. She was such a trooper through surgery and chemo, and your post about dogs and heaven really got to me. I have recently started looking for another dog to love and am interested in the possibility of being a forever home for one of your new pups if they haven’t already been adopted. Please correspond with me at vanese@logic.bm. Thank you so much for following Vanese and for commenting! I am glad that my post about losing our sweet Henry could touch your heart. I am sorry for your loss! 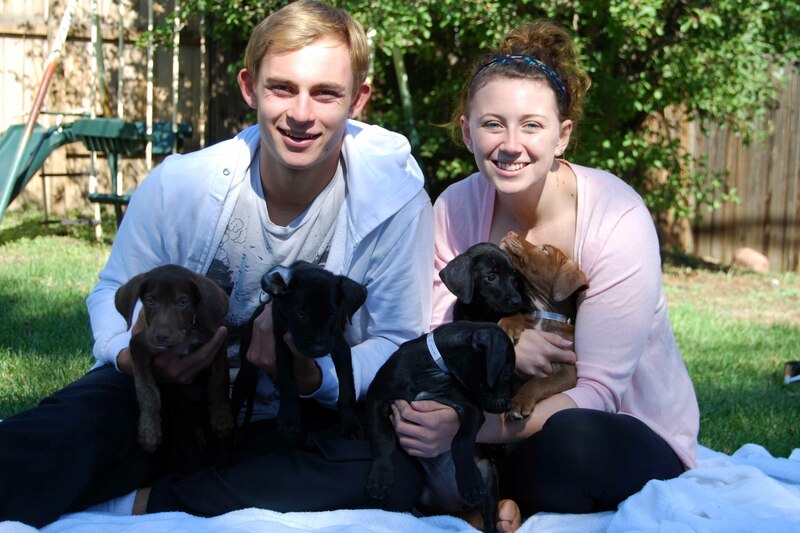 The puppies actually did all find homes by Sun afternoon! Do you live in CO? 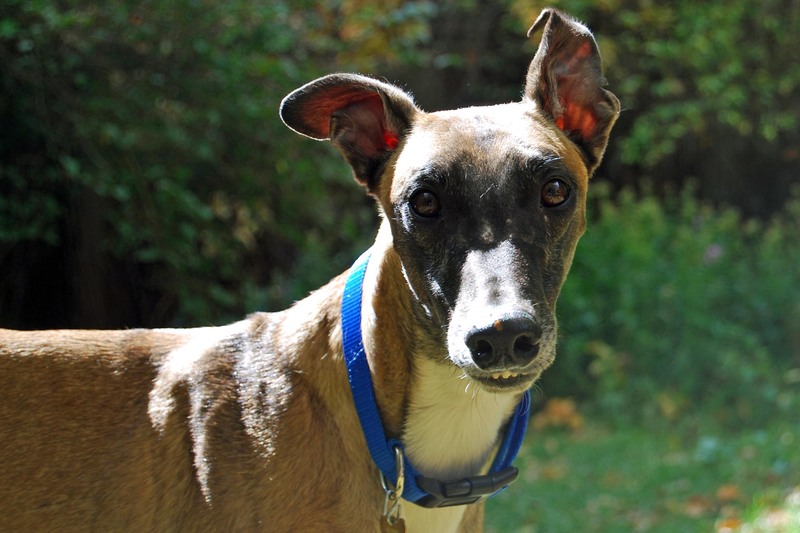 If so, I highly recommend Colo Greyhound Adoption. They brought Henry to us, and now my sweet Cody. Thanks for such a beautiful and touching post. My family’s only cat and previous and current dog were all adopted and there is no turning back. Actually, it still amazes me that people buy animals from pet stores, in particular, as well as breeders. There are so many loving and affectionate critters out there just waiting for someone to notice them and give them the care they deserve. Fostering is something I’d love to try out when I have the capacity to properly do so. 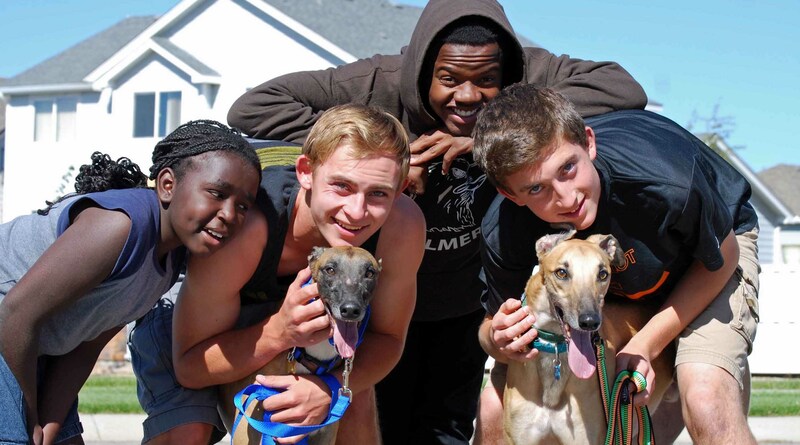 Hopefully you will be able to foster more greyhounds in the future. I’m so glad you visited! It’s going to painful to give up Felix. He’s a very affectionate creature who has snuck into our hearts, even Cody’s. At first Cody thought he was a pest, but they’ve become good buddies. Watching them race each other in the backyard yesterday was magnificent. But a big part of what gives me strength is to bless someone else, but also to create a spot for another foster dog. Not sure how many times I can love and give up, but at least if we can do it for a few creatures, I will be glad. I agree, so many animals that already exist are worthy recipients of love. 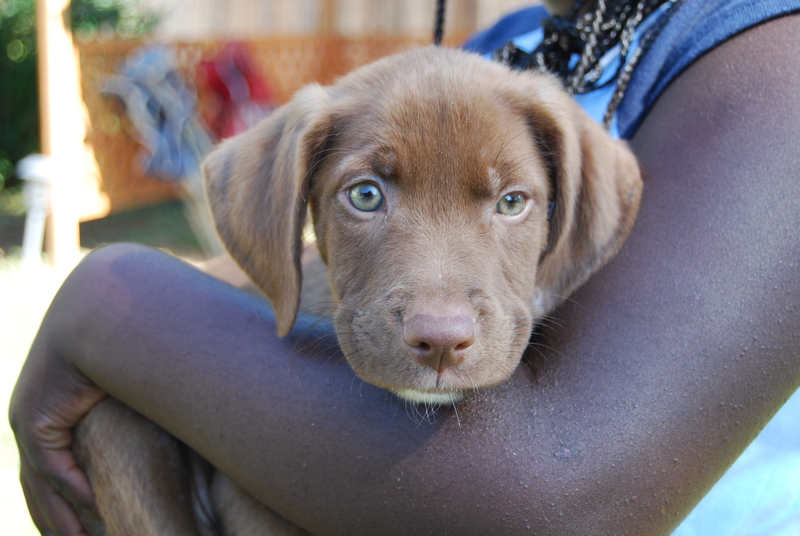 Seeing the five puppies who needed homes after pet store over-breeding was very sad. Awww! What lovely photos! Your story in inspiring. I felt the urge to rescue something or someone then I remembered that our Akita is also a rescue. We were his fifth family when he was just two years old. We love him to bits!